You park like a wiener! A Wienermobile much like this one was ticketed Thursday in Chicago. 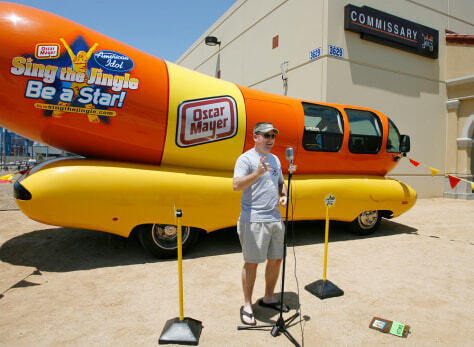 The vehicle in the photo is parked, presumably legally, at Naval Station San Diego, with Petty Officer Steve Dotson in front of it singing the "Oscar Mayer Wiener Jingle." It's no "Anchors Aweigh," but there was a contest.